The laptops will all have "Feather-Touch" multimedia touch-sensitive keys and a webcam with facial-recognition security login, presumably more for fun than true security. They will all also have Sleep-and-Charge USB ports, which will charge stuff even when the laptop is asleep or powered down, provided the laptop is plugged into a wall socket. 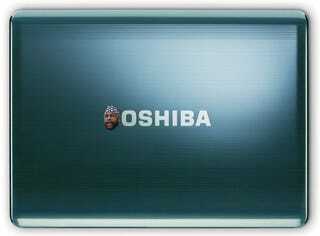 At the same time, Toshiba introduced two totally new laptops, the A200, with a starting price of $600 including 15.4" widescreen, DVD SuperMulti drive 160GB drive, 1GB of RAM and an AMD Athlon 64 X2 Dual-Core processor. The company also introduced the 17" L350 with built-in webcam, ATI Radeon X1250 graphics and DVD SuperMulti drive for $750.